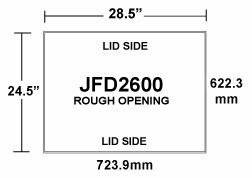 The JD2600 Fully Insulated Bi-Flow Inlet is great for minimum to maximum ventilation when you need precise control of air movement. 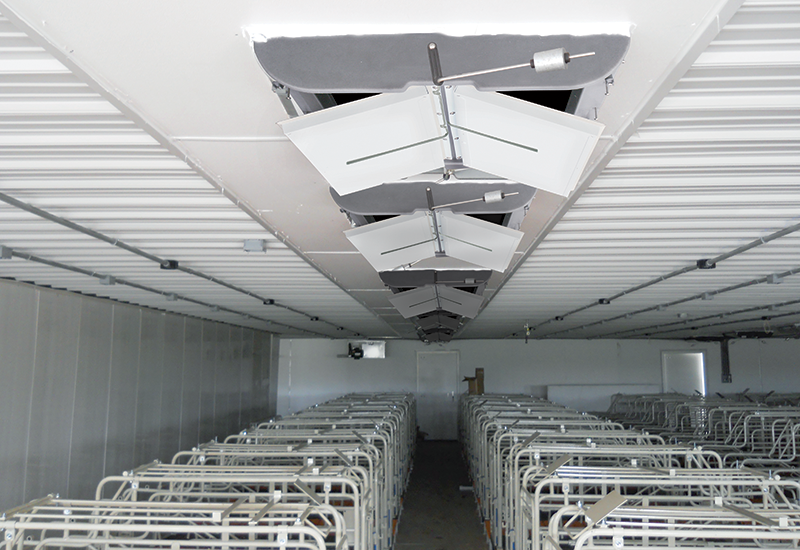 The JD2600 Two-Way Ceiling Inlet lids direct air along the ceiling for proper air mixing instead of allowing cold air to fall directly on animals. It is constructed of a single piece, fully insulated rotomolded housing frame with 1" thick fully insulated lids to minimize condensation, dripping, and inlet freeze-up. 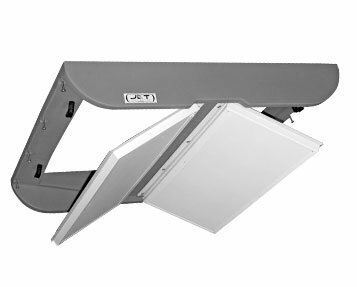 Each JD2600 Bi-Flow Inlet has two frictionless Styrofoam PVC covered lids on a continuous PVC hinge that swings down to allow clean attic air into the main room. 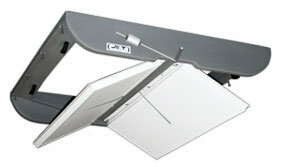 When bi-flow lids are closed, the inlet is fully sealed against air leakage and light. Available in Actuated or Gravity Style Inlets. The JD2600 Actuated Inlet opens and closes with an actuator machine. 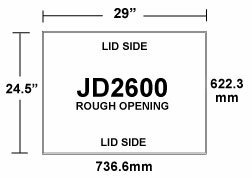 The JD2600 Gravity Inlet counterweight lids open automatically as the static pressure increases in the building and can be shutoff when not needed. 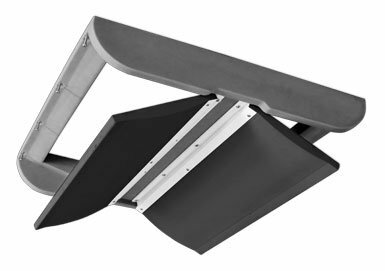 The JD2600 Attic Inlet can withstand harsh agricultural environments and extreme cold weather conditions.